Port bombing out to the Bombers and a Jake Lever shocker slightly redeemed the weekend, but there’s no papering over how poor the Crows were on Friday night. Our Fumbles correspondent ponders curfews, baby blues and the end of the premiership dream. Among the best football I recall Adelaide playing during our late-lamented post-premiership era under Gary Ayres came during a two-week 2002 purple patch in which, appropriately, we still managed to lose both games. In the first, against the Eagles in Perth, we were down by 40 points at three quarter time when we suddenly decided to fire up with a withering nine goal final term. Unfortunately, just as we closed in on a historic victory, we dropped our collective bundle again and West Coast kicked away to a modest three goal win. 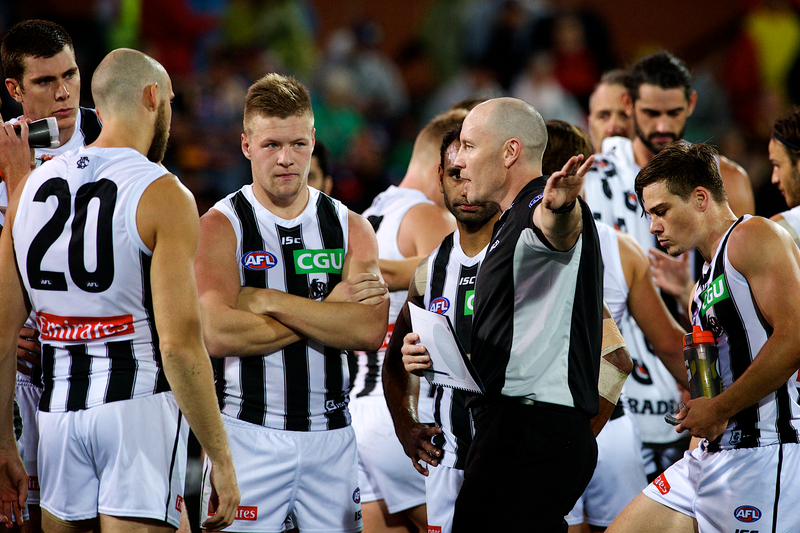 The following week, we hosted Collingwood at Footy Park. Buoyed by the previous round’s wet-sail finish, the Crows did their usual trick of Not Bothering To Turn Up Because We Assume The Game’s Already In The Bag. Which sadly, it wasn’t, and we found ourselves nine goals down with a quarter to go. For the second week running, though, the Crows went mad for a quarter, kicking eight in a hurry before the Magpies steadied to run out 22-point winners. It’s important not to lose sight of this fact, I think. Because it’s easy to forget, given how mediocre they’ve been for a while now, that the Magpies have ended our season more than any other team save for Hawthorn, including in one of the more traumatic of our impressive array of last-gasp finals defeats. They’re also quite annoying because we so often seem to play rather well against them, but without actually winning. Last year, for instance: that batshit-crazy draw with McGovern’s kick after the siren causing at least one off-field injury, when I overzealously pummelled my coffee table with a clenched fist (an ill-advised celebration, in case you’re wondering). As it turned out, I was probably wrong to celebrate anyway. At the time, I thought that draw – coming from 50 points down – might symbolise a turning point for our fortunes, a sign that we had the talent and self-belief to keep coming even when all hope is lost. But in hindsight, it probably symbolised something else entirely: that we can play the most dazzling, pulsating football a team is capable of playing – and still not quite make it. Which, really, is a fairly emblematic of the Crows over the past two decades. Still, as John Kennedy would put it, at least we did something. On Friday night, in the rematch with the Pies, we did nothing. It was sheeting rain and blowing a Brendon Gale, but more than 45,000 still showed up: they just evidently didn’t include many of the 22 Adelaide players taking the field. If recent seasons have given us faith that there’d be a semblance of a comeback, that faith was wildly misplaced. Whatever fight we offered was belated and shortlived. Geez, that premiership window closes quickly, doesn’t it? One minute you’re heading into Grand Final Day with a metaphorical breeze at your back, the next you’re getting smashed at home by a team whose coach’s sacking was being publicly pondered as recently as this month. Speaking of which, did you notice that the final margin on Friday night was exactly the same as the one on Grand Final day? I did. What fun. Ironically enough, I had to persuade the guy I usually sit with to come along to this game, what with the shitful weather and the fact we were playing, and I quote, “a crap opponent”. That’s right, he was considering not showing up because he thought we might win by too much. Oh, how we laughed at the irony (to clarify: we didn’t). 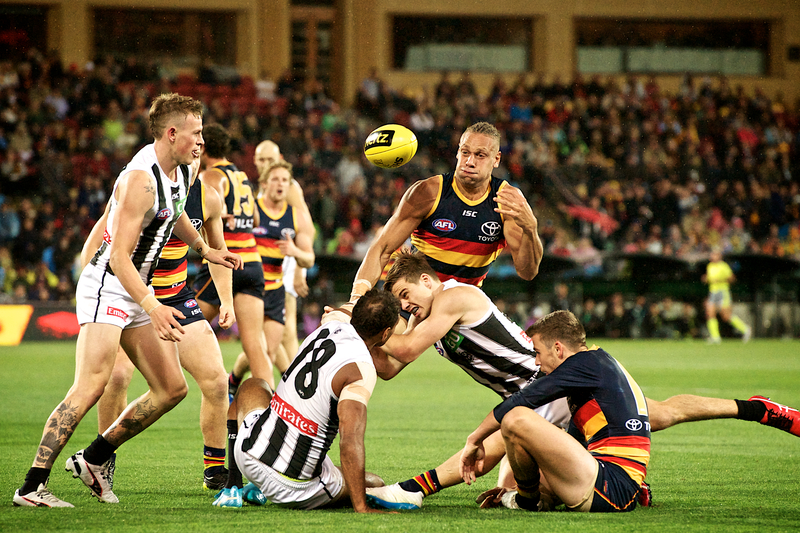 Adelaide’s efforts to try and get back into the game in the second quarter were actually almost slapstick, with the players fumbling for the ball as if it was made of soap. Aptly enough, the implication of what happens when you drop the soap was more or less what Collingwood were doing to us, figuratively speaking. It was, indeed, a comedy of errors. Only without the comedy. Now obviously, you may be tempted to blame the usual suspects such as the coach, the players and the selection committee, particularly after the inspired decision to load up on talls, which obviously worked flawlessly for us on Grand Final Day if memory serves me correctly. 1) The bloke in the first row who had a crack at the Collingwood cheer squad as they made their way to their seats, politely explaining to them how badly they were going to lose – one of those gags that always seemed destined to come back to bite him on the proverbial bum. 2) The previous Labor Government. If they’d coughed up to put a roof on that stupid stadium, none of this would ever have happened (possibly). Sure, it might have cost taxpayers another half a billion or so, but worth every cent to not be humiliated by an otherwise pedestrian Collingwood in a Round Four snorefest, surely? On the bright side though, we don’t have to worry about playing a Grand Final at this venue until at least 2058, so that’s a relief. 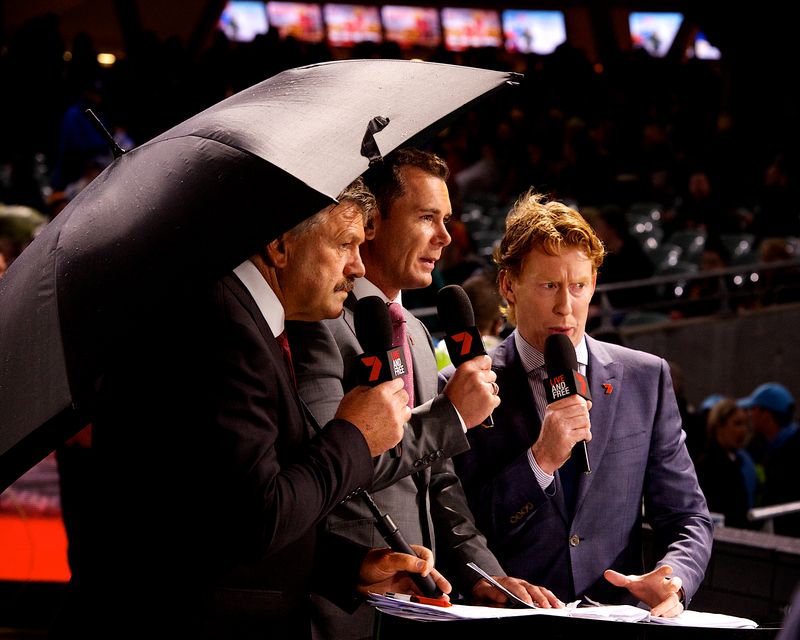 3) Fate, and the AFL’s scheduling. If anyone ever tells you Friday the 13th isn’t actually an unlucky date, you can be fairly sure that person is not a Crows supporter. 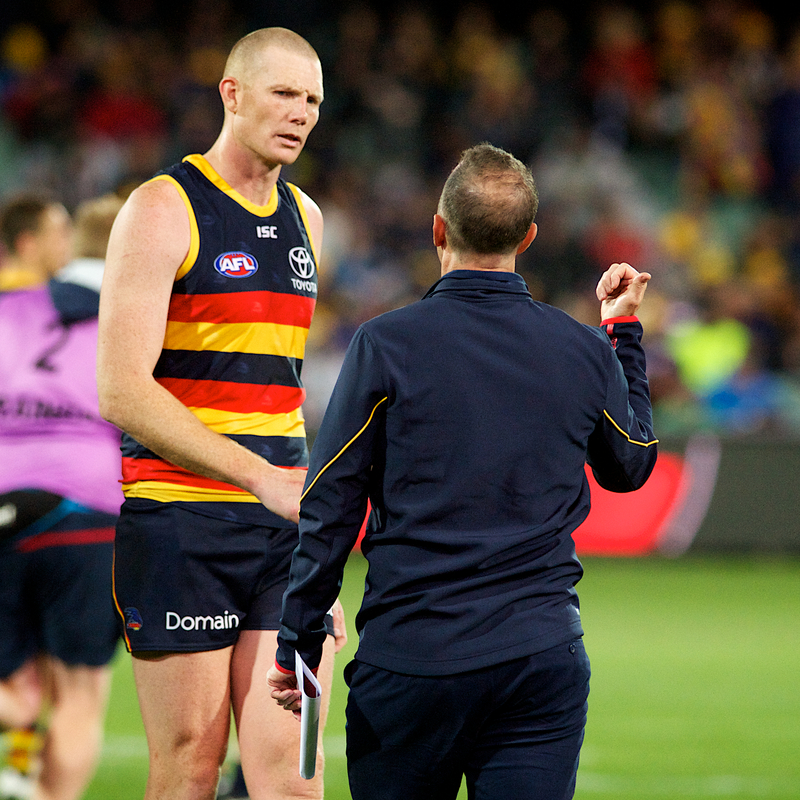 You may recall the last match we played on a Friday the 13th was also an annoying home-ground defeat (the fact it coincided with Paddy Dangerfield’s first Adelaide visit since he scarpered home to join the Moggs Creek Moggies didn’t improve things much). And best I can tell, you have to go way back to 2007 to find our previous Friday the 13th fixture before that but, sure enough, that was a loss too – by two points against the Saints (a match that, eerily enough, I wrote about just last week). So the pattern seems reasonably clear: if we’re playing on Friday the 13th, chances are we’ll end up like most of the characters in the movies of the same name. Metaphorically, at least. Still, I’m actually glad this happened, for reasons that I am yet to discover and will probably make no sense whatsoever when I do. And anyway, as the weekend progressed, it was a bit like that movie The Mist – largely crap, but redeemed significantly by the way it ended. 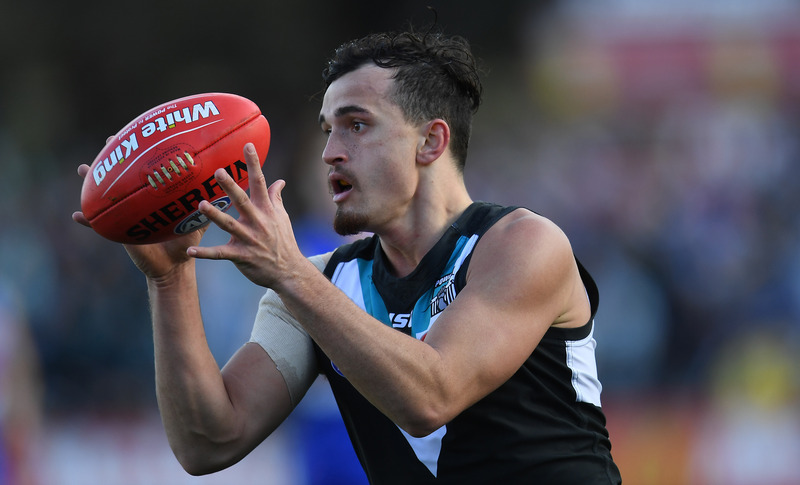 Because yesterday, Port Adelaide put a week of off-field turmoil behind it in the best way possible: by playing as though they had suspended one of their better in-and-under midfielders. The Power played Essendon at Etihad Stadium – a fixture now known in honour of Conor McKenna as ‘Vampire Weekend’. 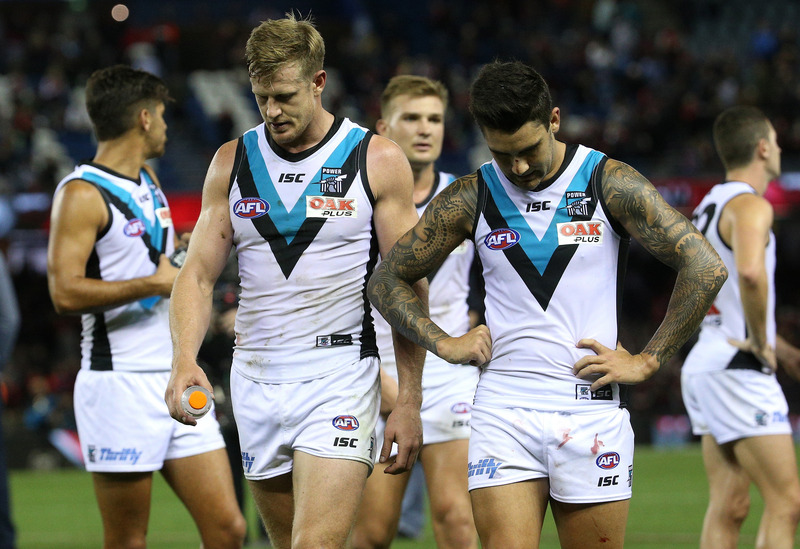 Port obviously fancied their chances given the Bombers’ lacklustre showing against the Bulldogs the previous week but, unlike McKenna, their bark was worse than their bite. It was as though Friday’s decision by the Electoral Commission to expunge the seat of Port Adelaide had somehow prompted its resident AFL team to similarly disappear into the ether. They obviously had their troubles during the week. As the old tongue-twister goes: Port Power’s player was in a pickle, and they wouldn’t pick pickled Powell-Pepper to play. Which was all quite astounding, given the Very Strict Curfew of ‘about 2am’ imposed on all players at the club. I can’t believe anything could possibly ever go wrong with such an uncompromising, watertight regime, but there you go. Still, I was sufficiently inspired to impose my own Very Strict Curfew of ‘about 2am’ on myself, but luckily I keep falling asleep before I can break it. Which, sure, is a slightly pissy off-field controversy compared to CCTV footage of a player stumbling around after allegedly putting an unwanted move on an unsuspecting nightclub patron. And of course, I’m sure we’re all united in congratulating the happy couple on the impending pitter-patter of little feet. Unhelpfully then, Adelaide’s propensity to keep playing Sloane despite an obvious injury seems to be driving down his market value by the week. Still, at least we still have that first-round draft pick from the Demons courtesy of the Lever trade, which is especially handy give Jake himself appears to be actively working to ensure we finish with as high a selection as possible. If you need further cheering up, I strongly recommend jumping on Twitter and typing the words ‘Jake Lever’ into the search function (you can thank me later). And yes, I assume it’s part of the human condition to feel perverse satisfaction in the failures of others, although it’s also possible I’m just a bad person. 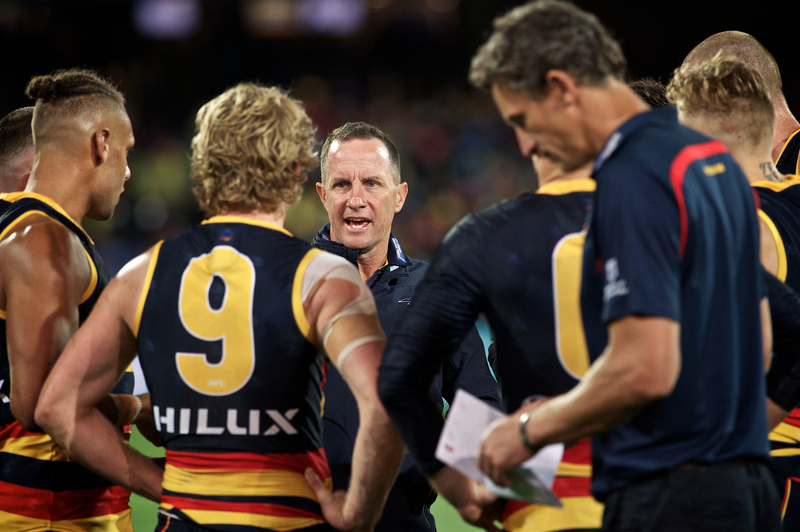 But despite the undeniable schadenfreude consolation of both Port and Jake Lever tanking on the same day, it can’t paper over the fact that the Crows were genuinely woeful this week – as bad as they’ve been under Don Pyke (well, besides that other obvious blip on the radar). The Swans loom this Friday night – another helpful opportunity to completely drop our bundle on the national stage – before a couple of eminently winnable games at home… but, let’s face it, there’s no such thing as an eminently winnable game if we replicate what we displayed in our Friday the 13th horrorshow. On the weekend just gone an older and much, much greyer Gary Ayres mentored Port Melbourne to a VFL win in his 700th match as player and coach – just over a seventh of which were spent at the Adelaide Football Club. And on the strength of Friday night, we’re no closer now to that elusive flag than we were in that bygone era, when we played those two quarters of the best football I’ve ever see us play – and still, somehow, failed to get a win.